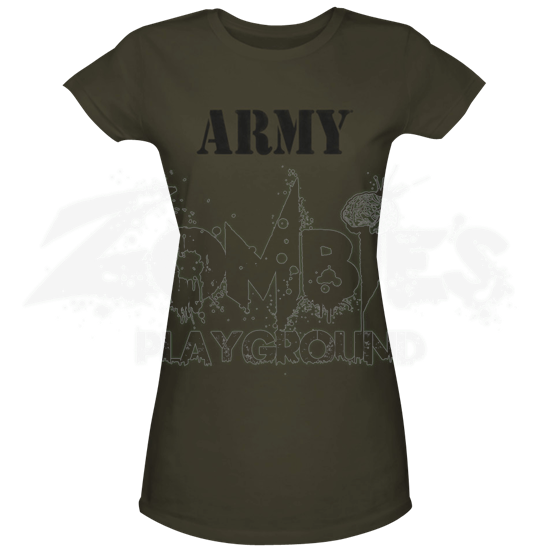 Ladies can now fall in line and start their day with PT like the men with the Green Army Womens T-Shirt. Comfortable and a great way to show you support for anyone in the armed forces this shirt is ready to finish your look. This bold stamp lettering design makes this an instantly recognizable military t-shirt. 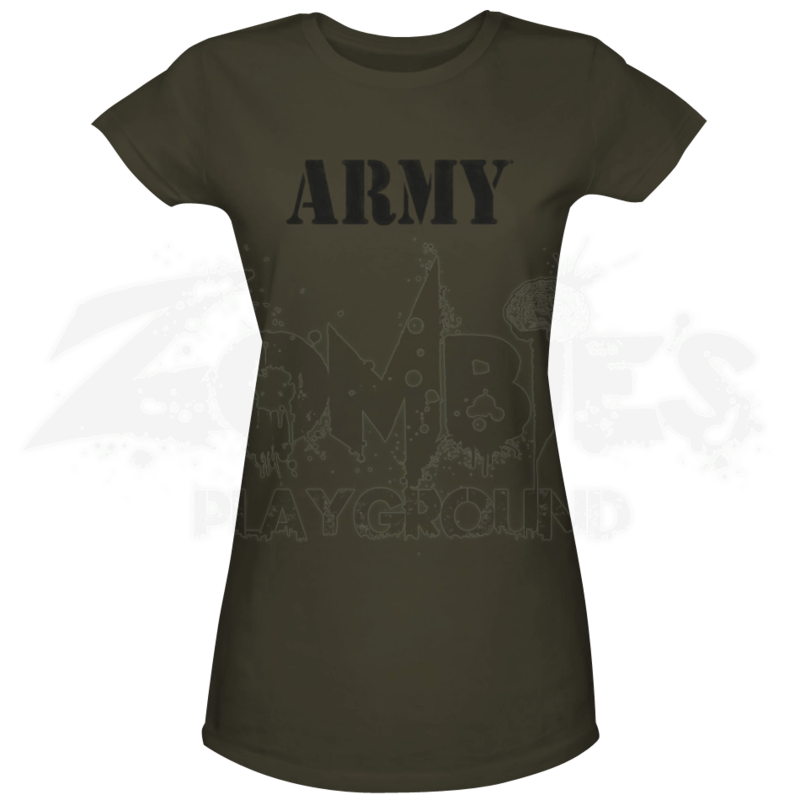 The Green U.S. Army Womens Shirt is made from high quality cotton and is great for everyday wear.